Author Daniel Pink says, because we all need to influence others in whatever job we have, we are all in sales to varying degrees. 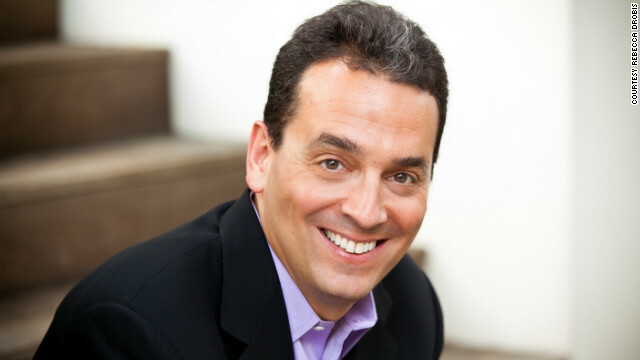 (CNN) - Last night I suspected my son had snuck onto my iPad and read "To Sell Is Human: The Surprising Truth About Moving Others," by this week's CNN Profiles guest, author Daniel Pink. My son is in the 6th grade. He has been using the hard-sell technique on his pitch for his parents to buy him a new computer. It hasn't worked. Last night he changed gears as he was doing his homework on my wife's computer. "The operating system on mom's computer is too old to operate the latest apps," he told me. Then he listed the best new educational apps he was unable to download on what, a few years ago, was a state of the art operating system. That moved me a little towards his goal. He knows his claim had better be true. Because I can fact check it, even on an old computer, with one quick search. He and I have access to the same information. He can't scam me and I can't scam him. At least not easily. Information parity, says Daniel Pink, is one reason why the art of selling requires a new touch. One of every nine Americans has a job in sales. But really, Pink demonstrates, selling - persuading others to part with resources for something you have to offer– is playing an increasing role in all our jobs. And Pink wants us to excel at it. So he has synthesized some of the best research on human behavior you've probably never seen. Like the study that demonstrated radiologists do a more thorough job reading x-rays when they have the photo of the patient's face next to the scan. Or the one, so relevant as the flu spreads, about how the most effective signs for getting hospital workers to wash their hands were the ones that appealed to protecting the health of the patients, not the workers themselves. Or how the art of improvisation can get you to yes a lot more effectively than using a scripted pitch. For us parents, selling does not stop when we get home after work. Parenting is a full time sales job. That, I decided, is what I really needed Pink to address. How can we fathers and mothers use the best selling techniques to become more persuasive parents? We delve into that in the second half of this show [17:16]. And I will try his techniques when I get home tonight. As for my son's efforts to move me on the computer issue - here is how our conversation ended last night. Me: "You're in 6th grade. Mom and I were thinking of getting you your own computer like we did for your sister, in seventh grade." Son: "Seventh grade is way too late in my day." Me: "When is your day?" Congress and the Senate should have to go to a continuing education class every year or two to remind them why they were elected and what a budget is and the purpose of a budget. They talk a lot about the budget but don't seem to understand the purpose for it. They should get paid depending upon their performance.